Opening of Downtown Gallery and Oakwood. FV estimate raised to S$2.47. OUE’s 3Q17 PATMI fell 90% YoY to S$10.7m mostly due to the absence of a one-time gain from the sale of the extension of Crowne Plaza Changi Airport (CPEX) to OUE Hospitality Trust in the same period last year, lower reversal of impairment losses at OUE Twin Peaks and softer mark-to-market gains on investments. In terms of the topline, 3Q17 revenues similarly fell 57% YoY to S$181.9m due to the absence of the CPEX disposal and lower contributions from the property development division, partially offset by firmer numbers from the group’s hospitality and healthcare divisions. In particular, revenues from the group’s hospitality division increased S$6.2m to S$58.6m over the quarter due to firmer contributions from both Mandarin Orchard Singapore and the enlarged Crowne Plaza Changi Airport hotel, as well as Oakwood Premier OUE Singapore (serviced apartments at OUE Downtown) which opened in June 2017. Overall, we deem this set of results to be broadly within expectations. The group has commenced operations at Downtown Gallery and Oakwood Premier OUE Singapore, which will further augment the group’s recurring income base. Management indicated that Singapore office rents have likely bottomed on the back of stronger economic fundamentals and market sentiments. Over 3Q17, both Grade A and Grade B Core CBD rents have improved 1.7% and 0.7%, respectively, on a QoQ basis. That said, OUE also cautioned that the underlying occupier demand, which could impact rental reversion trends in 2018, remains uncertain. For the Singapore residential market, alongside rising sentiments, the group has successfully sold out OUE Twin Peaks with its active marketing efforts. The group currently has no residential land-bank in Singapore. After updating our valuation model, our fair value estimate increases from S$2.17 to S$2.47. 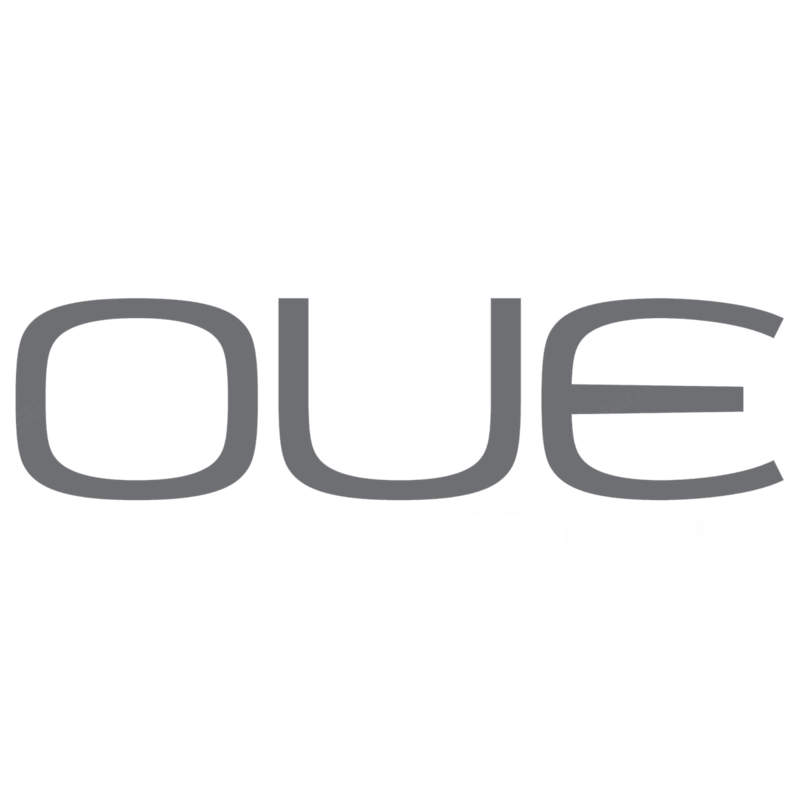 Currently trading at only 0.46x price-to-book, we continue to see OUE’s shares as attractively priced. Maintain BUY.